Exactly ten years ago I embarked on a six-month backpacking adventure on a budget through Southeast Asia. After working in Korea as a teacher for one year I was thrilled to tap into that spirit of wanderlust: marching through ancient temples, snorkelling across colourful coral reefs, hiking with monkeys through verdant jungles and feasting on endless bowls of slippery noodles. Before switching gears and zooming down to Australia, I spent my final month in Asia falling head over heels with Indonesia’s dreamy island of Bali. Truly love at first sight! Each morning I’d wrap a handsome batik sarong around my hips and spend the day staring at surfers on the beach and tip toeing through inspiring Hindu temples. 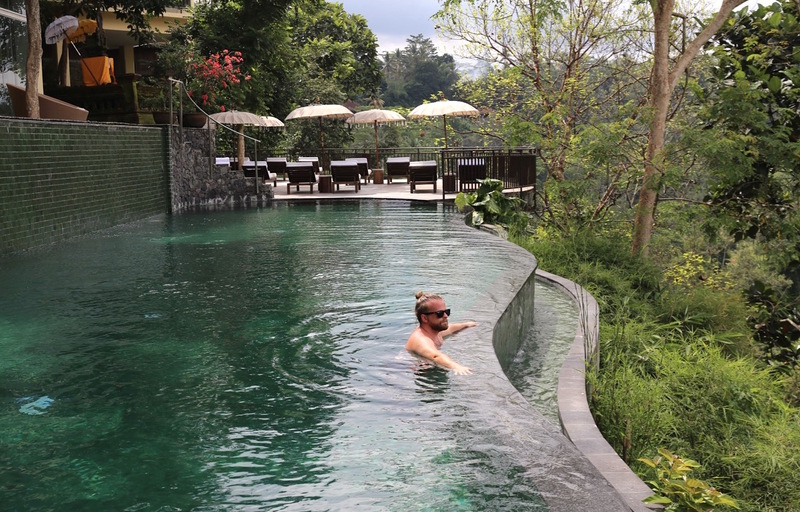 I still joke that Bali is the most romantic place on earth – a remarkable reflection for someone who was single at the time yet constantly swooning over his surroundings. I’d skipped through rice paddies with a smirk, hoping that one day I’d have the opportunity to return to share the island with a special someone. This time, I returned to Bali to enjoy my favourite island paradise on a whole different level. I swapped my shoestring backpack for slick Rimowa luggage, simple guesthouses for award-winning luxury hotels, and inexpensive street food for Instagram-worthy feasts prepared by the island’s top chefs. 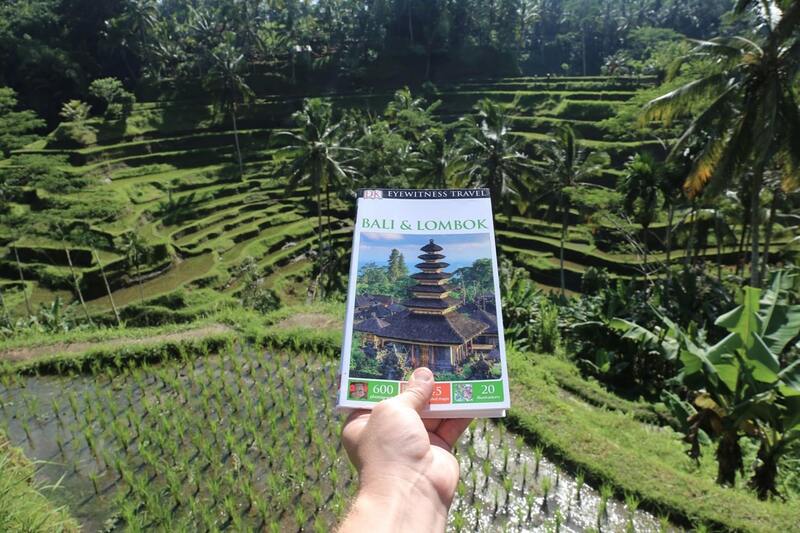 In preparation for my romantic Balinese romp, I researched the destination months in advance using the newest edition of Eyewitness Travel Bali & Lomboc (DK Publishing, 2016). The informative guide includes detailed itineraries and “don’t miss” destination highlights at a glance, illustrated cutaway 3-D drawings of important sights, floor plans for major temples, area maps marked with popular sights, top hotel and restaurant listings, as well as a slew of info on niche interests such as surfing culture, scuba diving, temple etiquette, and best spots to shop for local arts and crafts. I tirelessly worked my way through Bali’s most iconic hotels so brides-to-be will have all the information they need to plan an unforgettable honeymoon in paradise with their sweetie. The most developed area on the island, Kuta features glitzy shopping malls and international restaurant chains (from McD’s to Jamie’s Italian). It’s more affordable than its swanky sister Seminyak to the north and a haven for surfers who spend their days here riding waves. 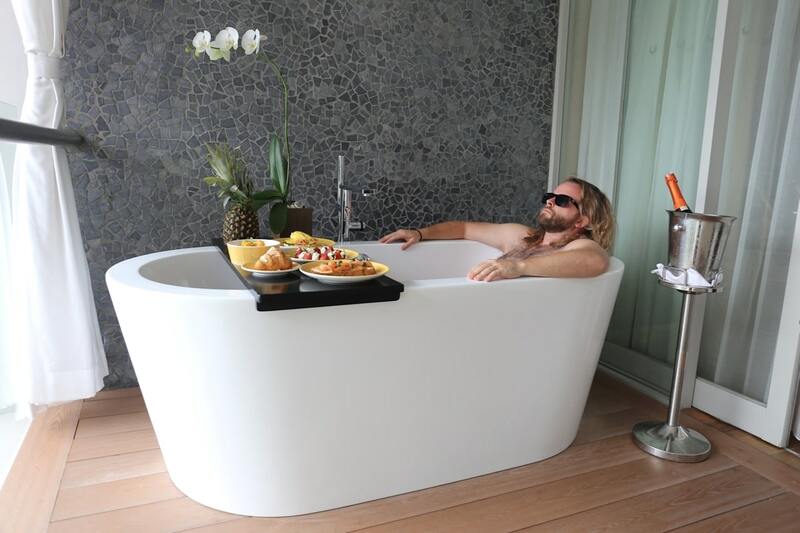 If you’re looking to #treatyoself and can’t be bothered to skip down to The Stones Hotel Legian Autograph Collection’s brunch buffet, simply ring room service and order their signature “breakfast in the bathtub.” My suite on the hotel’s 5th floor featured a spacious soaker tub on the balcony with jaw-dropping views. Friendly staff set up a brunch spread on a tray straddling the tub featuring cheese croissant, eggs benedict, smoked salmon and cream cheese bagel, mango and granola topped yogurt and strawberries with cream. A bottle of chilled sparkling wine resting in an ice bucket is the best way to wake up to the world! If you’re the sort of couple that loves to play dress up book a Paparazzi Photoshoot at the Hard Rock Hotel Bali. You’ll be assigned your own private photographer for an hour who can photograph you by the hotel’s iconic Rocking Guitar sculpture, a romantic moment at sunset, or my favourite, a traditional Balinese wedding costume. I highly suggest the latter as it’s seriously fun to skip around town dressed like a King and Queen. The best spot on the property to shoot your royal lewk is at the Balinese Temple at the far end of the lagoon. Seminyak is the centre of life for hordes of Bali’s expats (many of who own boutiques, design clothes, surf, or do seemingly nothing at all). It may be immediately north of Kuta, but in many respects, not the least of which is its jaw-dropping sense of style, Seminyak feels almost like it’s on another island. It’s a very dynamic place, home to scores of restaurants, clubs and a wealth of creative designer shops and galleries. W Retreat Bali proudly launched W Hotels’ first ever private music recording studio and creative space. 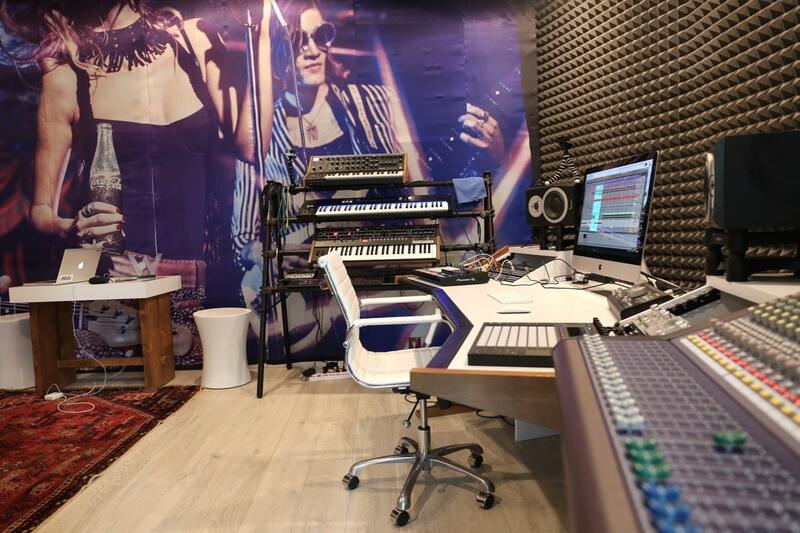 With enough room to host a proper entourage, the studio includes a lounge, recording room and a main mixing space featuring the latest professional gear from Native Instruments, Pioneer and Moog. The inaugural W Sound Suite is pitched as a place for professional recording artists, studio musicians and producers (and of course, hotel guests) to record in style while on the road. Make music in paradise and have the ultimate destination recording experience. Seminyak’s new cool kid is the Katamama, a jaw-dropping boutique hotel perched over the Indian Ocean. Every facet of Katamama has been handpicked or handmade to reflect Indonesia’s artistic and cultural heritage. The authentic, handcrafted pieces that fill the hotel’s spaces give it a distinctive look while also supporting the indigenous communities and craftspeople of Indonesia. Skip out of the hotel’s lobby and you’ll find the world-famous Potato Head Beach Club at your doorstep. 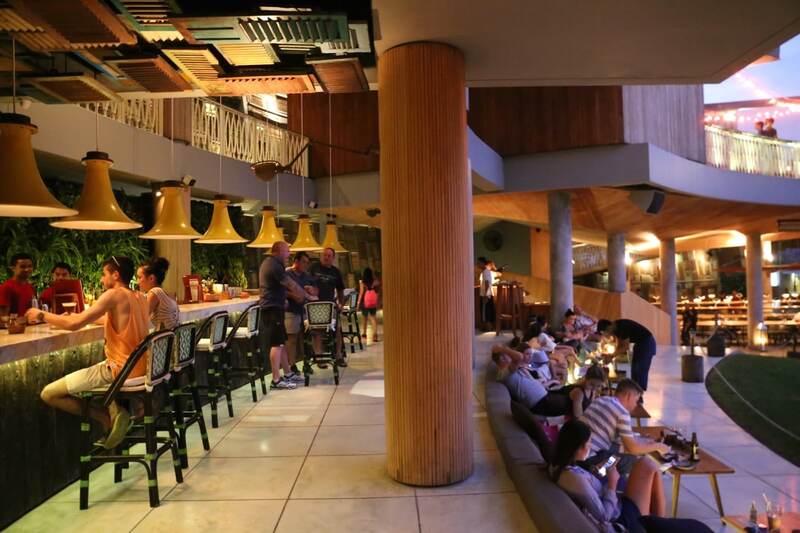 Opened in 2010, Potato Head is Bali’s numero uno address of choice for trendsetting jet-setters, cocktail fans, and sunset-swooners. The entrance is dominated by a towering elliptical façade of mismatched 18th-century teak window shutters collected from across the Indonesian archipelago. This unique façade frames the Beach Club’s 500-square-metre lawn, two bars, two restaurants, and infinity pool with views to the sparkling Indian Ocean beyond. World renowned artists who have performed at Potato Head include Grace Jones, John Legend, Fat Boy Slim, Disclosure, Ellie Goulding, Azealia Banks, and Jessie Ware. Literally translating to “two islands,” Nusa Dua is named after the two peninsulas along Bali’s east coast. Years ago the area was a lush and rustic jungle; however today the government has created a complex designed to be an “all-inclusive” type tourist destination. The complex known as the BTDC (Bali Tourism Development Centre) features a string of world-class hotels, up-market shopping complex, and luxurious 18-hole golf course. King Cole Bar at the St. Regis Bali is known as one of the island’s finest, building upon the traditions and legacy of the original St. Regis New York. With hand-crafted Indonesian artifacts and celebrated works of art adorning the elegantly stylish lounge, the indoor sofas and tables are complemented by an exquisite outdoor space offering stunning views over the resort. 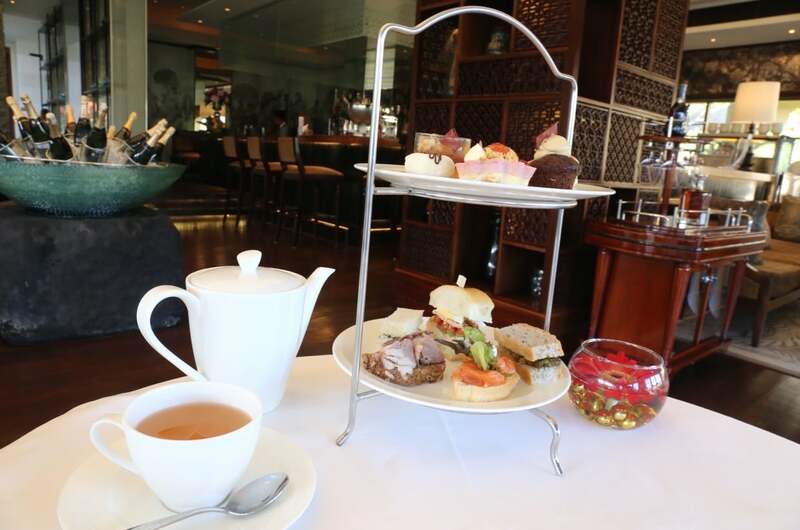 Each afternoon, between 3pm and 5.30pm, pretty pinkies raise to the roof as guests indulge in the tradition of high tea. Presented in the classic tier-plate style, King Cole Bar’s daily afternoon indulgence also includes a buffet corner, legendary Valrhona chocolate fountain, and scoop-it-yourself gelato station. Looking to tap into the island’s unique Hindu history? The Laguna’s Balinese Blessing and Dinner Ceremony offers an authentic evening in celebration of Bali’s preserved rituals. Commencing with a dramatic fire dance at the resort’s candlelit Cascade Bar, guests are led to the resort’s temple where a Balinese priest awaits to conduct a classic ceremony with flower offerings, or canang sari, made to the island’s revered Hindu Gods. The evening concludes with a sumptuous Balinese buffet as local dancers perform a traditional Legong dance. Located just south of Kuta and the airport, Jimbaran is famous for its beach where each evening spectacular sunsets splash across the horizon. The beach bustles at 6pm as tourists come here to feast at one of the cheap and cheerful seafood restaurants sourced by local fishermen. Meaning “precious time” in ancient sanskrit, Jamahal is a haven for couples and honeymooners seeking a romantic retreat away from the hustle and bustle. Starting out its life as a private residence, Jamahal transformed into its current incarnation as an environmentally friendly boutique resort featuring just 13 elegant and luxurious villas. Each villa artfully blends contemporary and traditional elements to create an ambiance of tasteful sophistication – think plush furnishings, opulent interiors, and tropical gardens. Since the property limits itself to a maximum of 28 guests, you’re truly able to enjoy a genuinely personalized experience. If you’re on holiday with your honey and looking to really add wow to the romance factor, Jamahal’s Master Pool Villa forces a jaw-drop. The 900-square-metre private oasis features a refreshing pool, lush garden, two elegant bedrooms, flower petal filled soaker tub, rain shower, open air living room, fully equipped kitchen, plush lounge chairs, and breezy cabana. The Ganesha Culture Centre at Four Seasons Resort at Jimbaran Bay is an interactive and experiential space dedicated to exhibitions and workshops in Balinese art, music, and crafts. The centre’s primary purpose is to actively support local artists and give them a chance to exhibit their work to an international audience, and to preserve and celebrate Bali’s heritage as the only remaining Hindu civilization in Indonesia. Culture fans should connect directly with the resort’s on-site expert Luhgde Suryatini, curator of the Ganesha Cultural Centre. She hand-picks traditional artists from different parts of the island who are masters in their chosen craft, including woodcarving, painting, songket-weaving, dance and music, ceramic painting and more. Guests are invited to take a lesson and actively support local artists to preserve and celebrate Bali’s heritage. Not only one of Bali’s most sacred places of worship, Uluwatu is also one of the most beautiful examples of classical Balinese architecture. 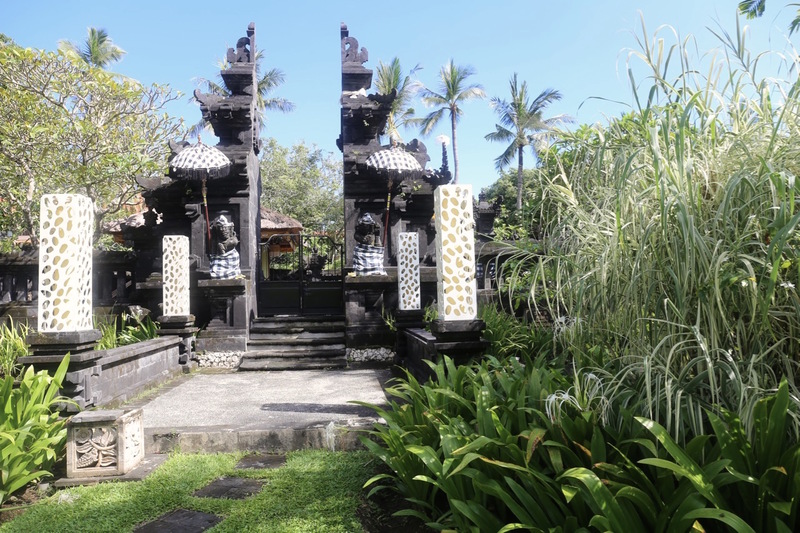 Until the beginning of the 20th century, only the princes of Denpasar were allowed to worship here. Today, Uluwatu has become the generic name for the southwestern tip of the Bukit Peninsula which includes the much-revered temple and fabled namesake surf breaks. Bulgari Resort Bali is an intimate 59-villa property located in one of the most exclusive destinations in the world, combining the breathtaking beauty and unspoiled nature of Bali’s beach resorts with a sophisticated contemporary design born from the encounter between traditional Balinese forms and high Italian style. The resort’s white sand beach between the cliff and water’s edge is inaccessible to the general public by both ground and sea, as it is protected by a coral reef. The only access is from the resort’s inclined elevator that takes guests to and from Bulgari’s posh Beach Club. Laze your afternoon away on a luxurious lounge chair and you’ll find yourself enjoying a front row seat to the wild wonders of the Indian Ocean. 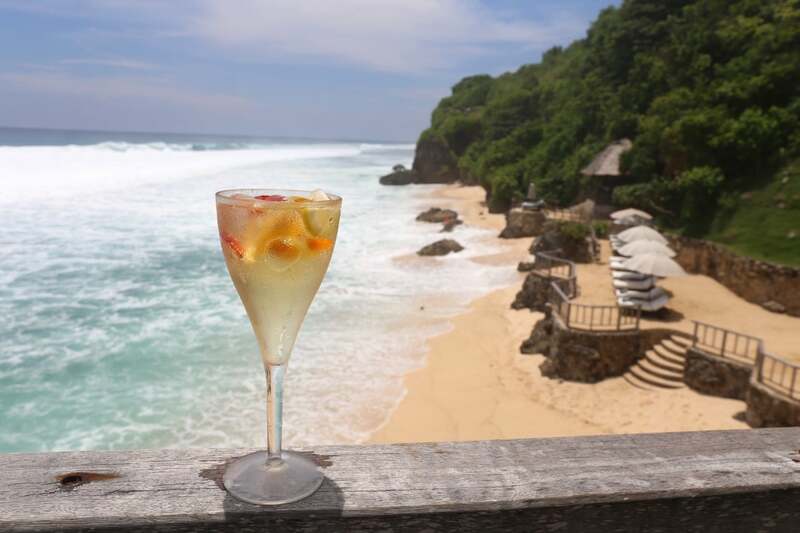 The waves here are truly hypnotizing, best enjoyed while sipping a refreshing glass of white sangria as dolphins frolic and foam from the ocean froths across golden sand. Bali’s longest-established resort, Sanur is, at its heart is an old Balinese community. The simple layout of Sanur’s streets and its tranquil atmosphere appeal to those seeking a relaxed vacation with the convenience of a beach resort but without the intrusiveness of Kuta’s hawkers and traffic. Indulge in an extensive array of wellness and beauty treatments from revitalizing Balinese massages to soothing facial and body rituals at The Spa at Fairmont Sanur Beach Bali . If your muscles are aching be sure to book yourself a 90-minute Traditional Balinese Relaxation Massage. Balinese massage is unique in that it combines kneading, stretching, skin rolling, and pressure point techniques. 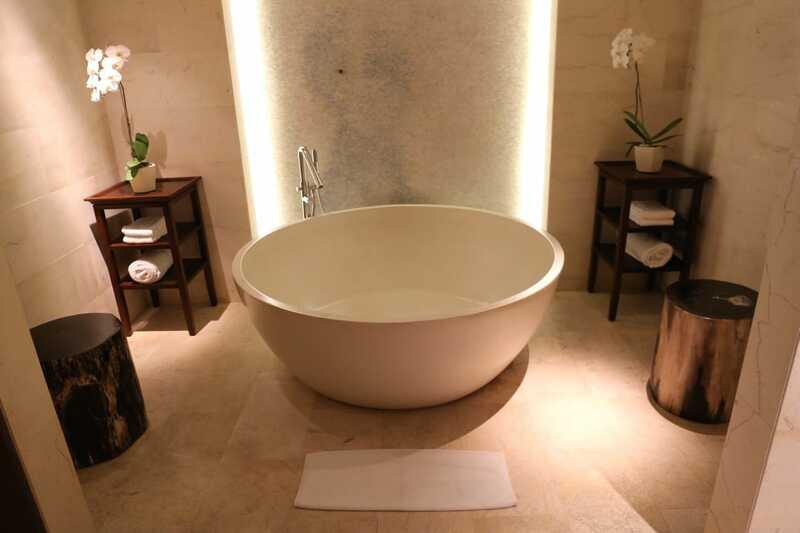 After you’ve enjoyed an afternoon of rest and relaxation be sure to pamper yourself at your spa suite’s orchid flanked soaker tub. Pour yourself a bubble bath, and you’ll giggle with glee as you float like tofu in a bowl of steaming ramen. Ubud has long been known as the “village of painters.” In the 1930s, the encouragement of the puri (royal family) attracted foreign artists and intellectuals seeking the “real Bali,” and so the village’s international reputation was born. A peaceful hamlet until the 1980s, Ubud developed rapidly into a village of cultural tourism. Now it is a small town, packed with galleries, craft shops, restaurants, bars, and hotels. 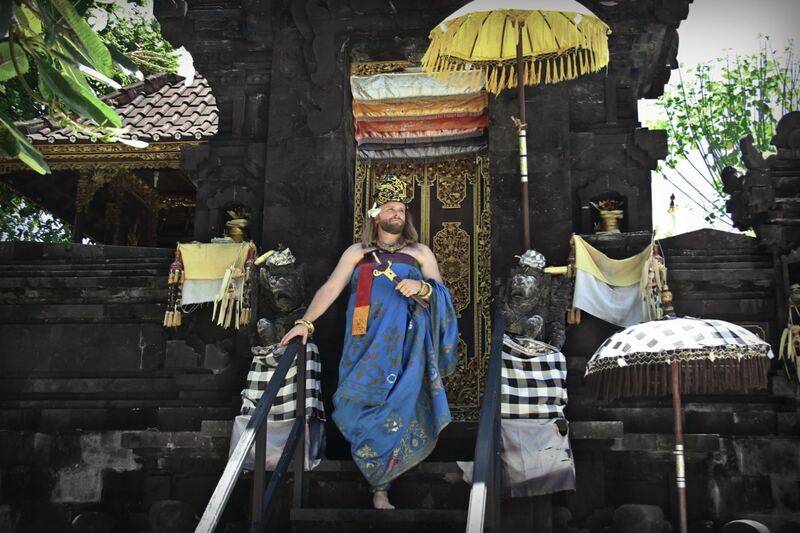 However, Ubud spends much of its prosperity on ritual ceremonies and conservation of traditional art forms. Komaneka Tanggayuda is beautifully situated amidst five hectares of tropical forest at the edge of a neighbouring village, with views to a sacred volcano. Throughout the grounds you’ll find tall tropical fruit trees, offering shade and invigorating the air. 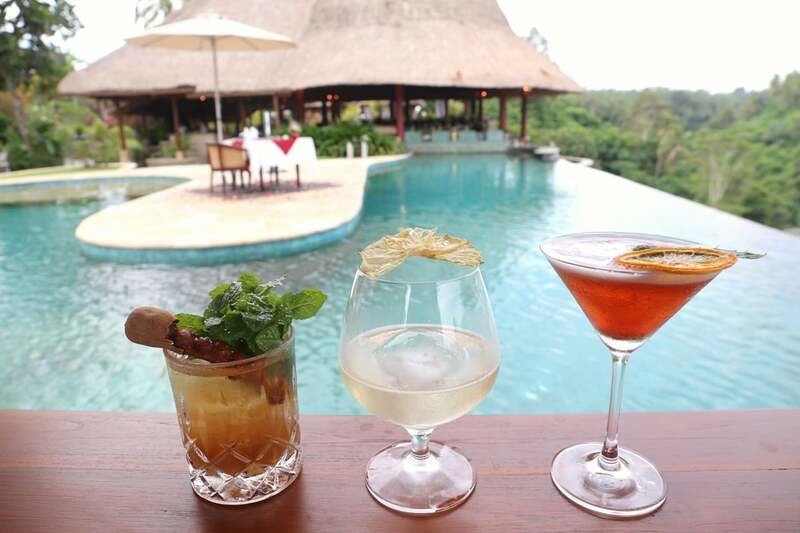 The resort’s most Instagram-worthy feature is its jaw-dropping infinity pool that sits below Batukaru Restaurant. The best time of the day to enjoy a swim is in the afternoon when temperatures reach their peak. Cozy up to the pool’s edge, stare out at the lush jungle below, and you’ll quickly find yourself smiling back at Mother Nature. The Viceroy Bali is a family owned and operated resort in Ubud consisting of 25 luxuriously appointed private pool villas, majestically situated in Bali’s “Valley of the Kings” – an appellation given by locals for the generations of Balinese royalty who have resided in nearby villages. The resort’s iconic Viceroy Bar is postcard perfect, sitting perched over the Petanu River gorge and hugged by a turquoise infinity pool. Grab a seat here and you’ll find a fine collection of cognacs, scotches, Japanese whiskies, spirits, and cigars. Friendly bartenders muddle world-class cocktails featuring house-made bitters, local herb-infused spirits and fresh tropical juices. Highlights include Dahini (Captain Morgan spiced rum, vodka, apricot, tamarind, lime), Strawberry Field (vodka, dry orange, creme de cacao, strawberry jelly, cosmopolitan espuma), and Haute Couture No’10 (gin, St-Germain, chamomile liqueur, lime). How incredible, your trip looks like an absolute dream. I hope you don’t mind me asking but I’ve actually been looking for some places to visit on our honeymoon as I’m getting married next year. Bali has definitely been at the top of my list and I’m hoping we get to visit there. I’ve been looking at this Luxury Honeymoon website called berkeleytravel.co.uk and they specialise in luxury hotels, destinations, gorgeous retreats… the works! Have you been on a holiday using their website before? I’ve heard amazing things but always good to get a second opinion. Thanks for sharing this blog post, I’m definitely telling the hubby we have to try all of these places. So exciting you’re heading to Bali! Nope I’ve never heard of that website (I’m Canadian…) I just research a destination using guidebooks and online reviews. As you’ll see from my story…I visited a ton of hotels all which are perfect for honeymooners depending on what sort of holiday you are looking for (and budget of course). Have fun!